If you want a guaranteed head-turning SUV, you need a new Range Rover Velar. It is the machine of the moment, forming queues at Land Rover dealers and creating a stir wherever it goes. Sitting between the Range Rover Evoque and pricier Range Rover Sport, it’s not cheap, but that doesn’t seem to be stopping early adopters. But because it’s not cheap, it has some formidable rivals. 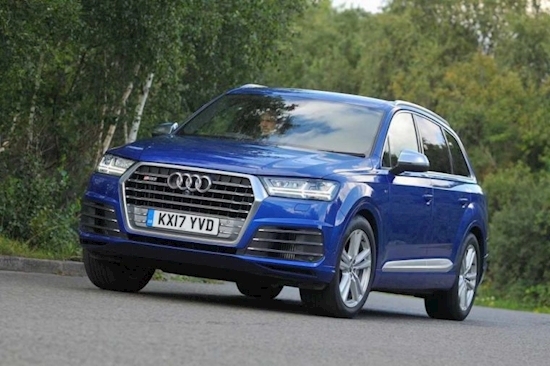 Take the 3.0-litre diesel HSE we’re testing here – with a list price approaching £70,000, it finds itself up not only the Audi Q7, but the range-topping SQ7 performance variant. 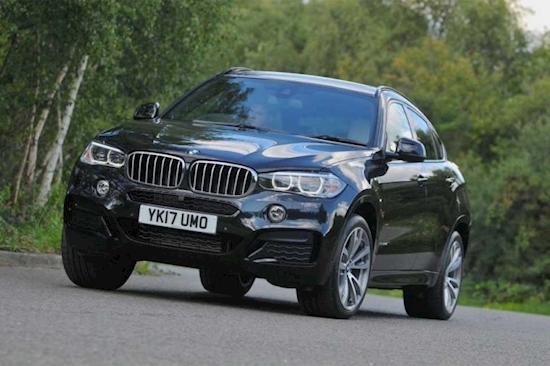 Meanwhile, BMW’s similarly dramatic-looking X6 comparatively looks a bit of a bargain, even in potent 40d M Sport guise. 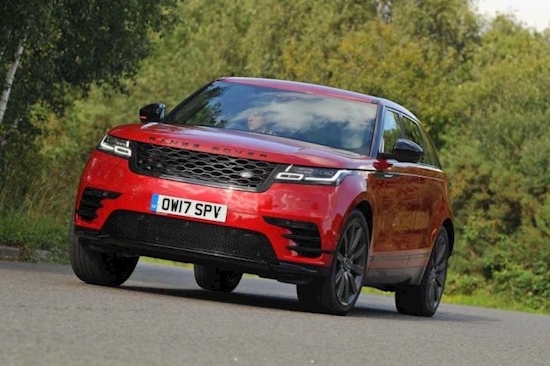 The Velar has the styling but has it the substance to match up to these two rivals? In this 296bhp diesel guise, it disappointingly doesn’t have the off-the-line shove we would expect. 0-62mph takes 7.0 seconds, with the BMW a huge 1.5 seconds faster. And the racy V8 Audi? That rockets away from the line in just 4.5 seconds, its brilliant engine performing exceptionally well. Many a sports car would be shamed by its vigour. The SQ7 feels like a sports car through the bends too – remarkable, given its size and weight. It makes even the BMW X6 feel ordinary by comparison, although even this is fun by SUV standards. The Velar is more lethargic, feeling less eager to change direction, although the benefit here is a smooth ride, much comfier than the ill-composed BMW. Again though, the Audi delivers the smoothest ride comfort of all, with a waftability bettering the Range Rover. It’s quiet too, even if the Velar runs it close; the X6 is the grumbliest in town and has the most wind noise on the motorway. All have commanding SUV-style driving positions, and all have nice seats, although the BMW’s chunky side support is let down by a lack of standard lumbar support. The Velar sits passengers a little lower than the other two, but visibility is still good; the SQ7 is the best for all-round vision, not least because the X6’s swoopy rear restricts the view out the back. They’re all roomy inside as well, particularly up front; in the rear, the X6 may have the least headroom, but it actually has the best legroom (the Velar is the tightest here). The only seven-seater is the Audi, and although its third-row seats are best reserved for children, it’s still proof of how much more practical than the others it is. Needless to say, its boot runs far clear of the others as well; the Velar trails here too. We think the Audi’s interior is the most premium-feeling as well – even by the German firm’s high standards, it’s a highlight. But the Velar runs it close, with only a few bits of scratchy plastic letting the side down. The aged BMW lags in such exalted company, mainly because of its dated design. Saying that, the X6’s infotainment system is still impressive, and easier to use than the Audi. The Velar’s twin-screen setup has the wow factor but is not as easy to operate in practice. It’s sad to see no Apple CarPlay or Android Auto either. This is a particular surprise given how much the Velar costs. The SQ7 is pricier though, and it will be much more expensive for company car drivers to use because of its high CO2 figures. But for private buyers, it runs the cheaper BMW close, on £794 a month – thank great retained values for that. Here, the Velar is much less impressive, costing £902 a month. At least they should all cost similar amounts to run – and in fairness, the Range Rover’s high price is justified by its generous standard equipment.